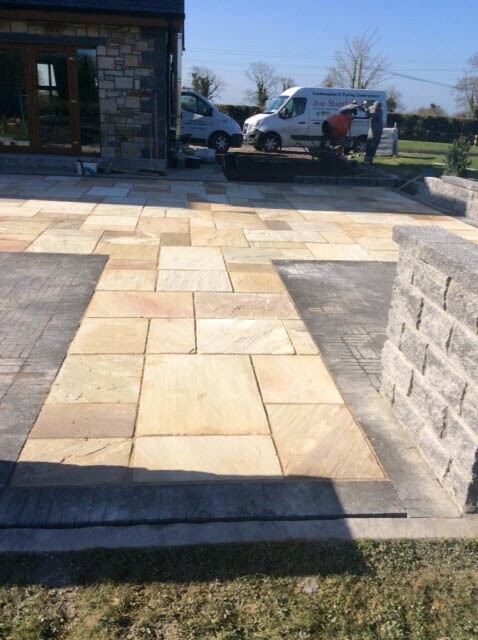 Joe Matthews Landscaping & Paving have expertise in garden patios and paving for private and commercial homes all over Meath and Dublin. We have been catering to the specific needs of our clients both in the private and commercial divisions for over 20 years’ and have harvested a reputation for proficiency and the quality of our finished projects. 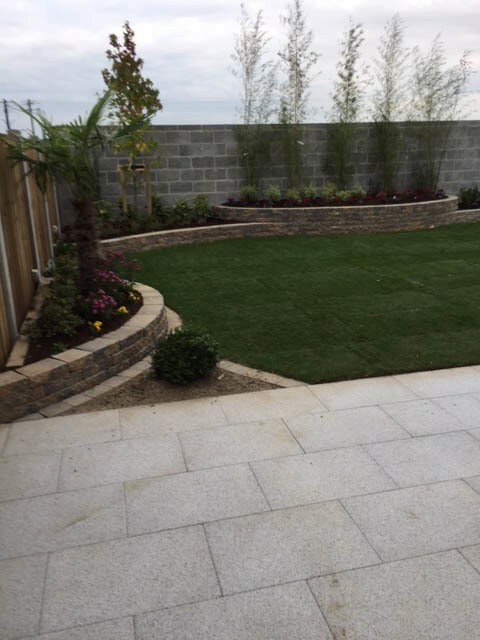 At Joe Matthews Landscaping & Paving, we strive to provide our customers with the best quality products from the world’s leading manufacturers to bring you the best possible finish for your project. Our quality trained team are on hand to help your design consultation from beginning to completion and can recommend the proper materials to value your home / workplace. 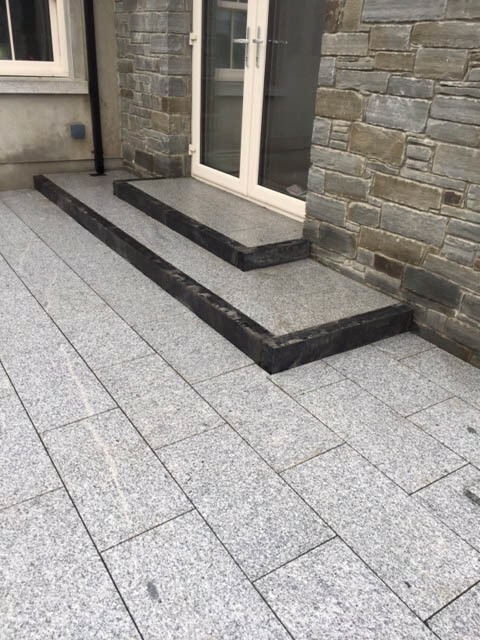 Joe Matthews Landscaping & Paving have high expertise in exceptional brick paving, natural stone paving and timber decking installation catered to bespoke designs to give you a consistently, unique finish. We offer stylish solutions to deal with flash flooding and drainage solutions using viable permeable paving in a variety of styles to fit your project. Contact us to see how we could assist you to complete the paving and patio you’ve always wanted.